On this recording, Brad was also nominated for a Grammy for his solo work on the classic Billy Strayhorn composition, “The Star-Crossed Lover’s.” He has performed nationally and internationally. A well-rounded musician, Mr. Leali has performed with such stellar musicians as Freddie Hubbard, Clark Terry, Joe Williams, Jimmy Cobb, Nancy Wilson, Frank Foster, Jon Hendricks, Roy Hargrove, The Mingus Big Band, Jack McDuff, George Duke, Dr. Lonnie Smith, Jimmy Smith, and Billy Joel, Robert Downey, Jr., Fantasia, Billy Joel, KidRock, Yolanda Adams & Brian McKnight, among others. Mr. Leali departed from the Basie Band in the year 2000 to focus on his career as a soloist. Since then, he has had the opportunity to perform a wide range of music with many other great musicians. Being one of the top jazz musicians in New York City, Brad is a staple in all of the legendary jazz venues such as the Village Vanguard, Blue Note, Jazz Standard, Iridium, & Birdland. He has also enjoyed success as being part of the Kennedy Center Honors program. Brad also appeared on televised events include the today show (Peter Cincotti), Jay Leno, Arsenio Hall, BET, Several local news stations and the Harry Connick Jr. Christmas Special, as well as several other programs. He has also enjoyed the honor of performing at New York’s widely known Lincoln Center, in the Orchestra of the song stylist Nancy Wilson, and the great jazz legend Benny Golson, and if that is not enough, Brad has also recorded his own 18 piece jazz orchestra. This CD entitled “Maria Juanez” features the compositional skills of Brad and has been highly praised by many critics. In 2005, Brad completed his studies at Rutgers University and received his master’s degree in music. While continuing to travel across globe with his own quartet, Brad now served as head of the Jazz Program at Texas Tech University until Summer 2008. He has performed nationally and internationally. A well-rounded musician, Mr. Leali has performed with such stellar musicians as Freddie Hubbard, Clark Terry, Joe Williams, Jimmy Cobb, Nancy Wilson, Frank Foster, Jon Hendricks, Roy Hargrove, The Mingus Big Band, Jack McDuff, George Duke, Dr. Lonnie Smith, Jimmy Smith, and Billy Joel, Robert Downey, Jr., Fantasia, Billy Joel, KidRock, Yolanda Adams & Brian McKnight, among others. Mr. Leali departed from the Basie Band in the year 2000 to focus on his career as a soloist. Since then, he has had the opportunity to perform a wide range of music with many other great musicians. 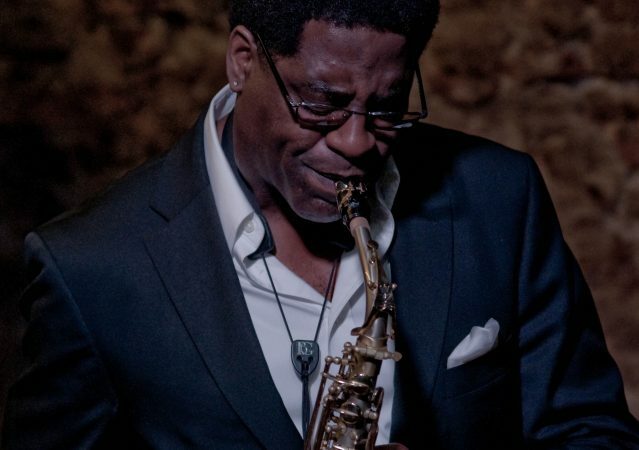 Being one of the top jazz musicians in New York City, Brad is a staple in all of the legendary jazz venues such as the Village Vanguard, Blue Note, Jazz Standard, Iridium, & Birdland. He has also enjoyed success as being part of the Kennedy Center Honors program. Brad also appeared on televised events include the today show (Peter Cincotti), Jay Leno, Arsenio Hall, BET, Several local news stations and the Harry Connick Jr. Christmas Special, as well as several other programs. He has also enjoyed the honor of performing at New York’s widely known Lincoln Center, in the Orchestra of the song stylist Nancy Wilson, and the great jazz legend Benny Golson, and if that is not enough, Brad has also recorded his own 18 piece jazz orchestra. This CD entitled “Maria Juanez” features the compositional skills of Brad and has been highly praised by many critics. In 2005, Brad completed his studies at Rutgers University and received his master’s degree in music. While continuing to travel across globe with his own quartet, Brad now served as head of the Jazz Program at Texas Tech University until Summer 2008. Brad is the current Three O’clock Lab Band’s Director and Jazz applied saxophone instructor at University of North Texas.